This week Saskatchewan’s first online casino will launch in a move which the company’s CEO has said will attract controversy and test the limits of First Nations jurisdiction. Bernie Shepherd, CEO of Northern Bear Casino, said that “like any business, I’m doing it to make money, I hope we can be successful globally.” He went on to say that he welcomes the challenge of opening an online gambling business in Canada without provincial government approval. A spokesman for the provincial government said that the ministers wish to monitor the situation before giving an interview on the subject. Last month Shepherd left a position at the Federation of Saskatchewan Indian Nations in order to start the casino. He went on to say that he hasn’t consulted with anyone from government; instead he has relied upon the advice of industry experts, lawyers and his own experience. 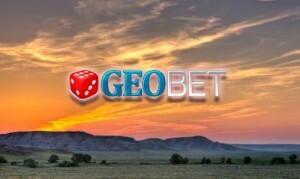 The casino will be an offshoot of GEOBet which has connections to Alberta First Nation. Shepherd says that he is hoping that he business will grow quickly and he will soon be hiring more staff.